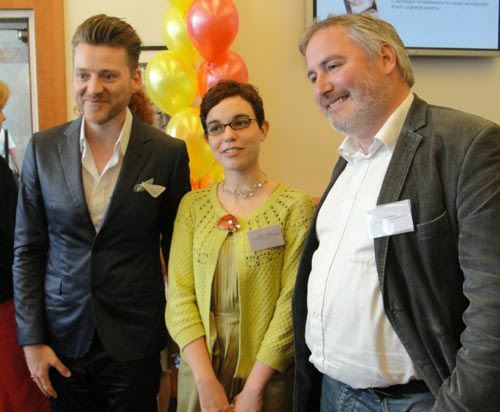 pictures mean business celebrates our new children's laureate! 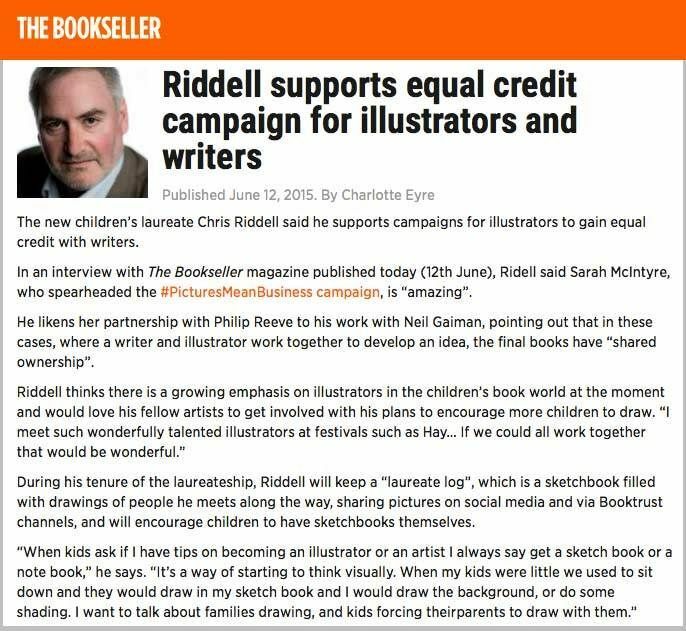 The new appointment of Chris Riddell to the post of Children's Laureate means so many good things for illustrators and everyone who loves illustration! Not only is he hoping to get lots more people drawing - parents, as well as kids - but he's a big supporter of our #PicturesMeanBusiness campaign. Hurrah! Here's a photo of me at the award ceremony with Chris's co-author Paul Stewart, who's worked with him on The Edge Chronicles. They're an awesome team and live just a few houses away from each other! I didn't get to talk much with Chris at the Laureate ceremony because he, predictably, was mobbed by fans and press the whole time. You can spot former Laureate Malorie Blackman, who's a big supporter of #PicturesMeanBusiness. 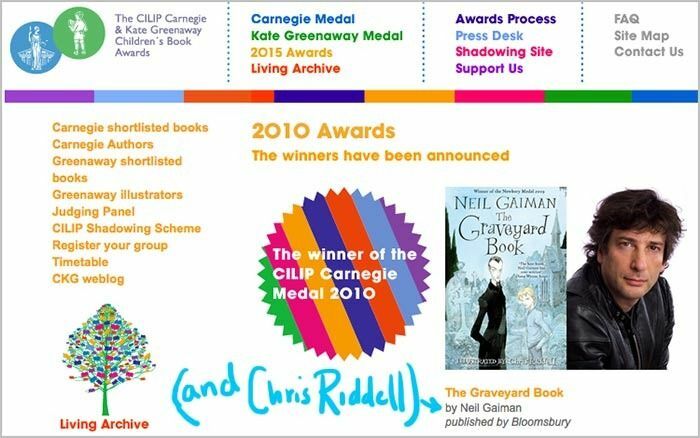 Those were different times, when the illustrator wasn't even credited in the award listing, despite having a huge role in creating the book, and Chris Riddell was slightly forgotten. But... dodgy book meta data is still creating huge problems. Here's a listing of the top book sales at Hay Festival, with the illustrators left out. (Chris even won a big illustration prize at the festival.) 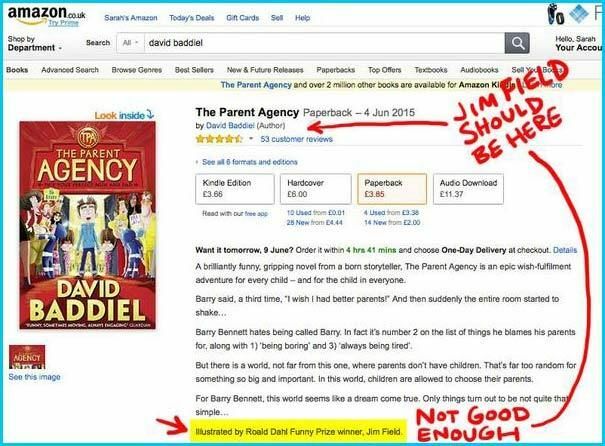 When I commented on the listing, the person who'd written the post edited it, but it was only later that the Dutch translator of The Parent Agency, Sandra Hessels, noted that Baddiel's book was actually highly illustrated by Jim Field. But I think the post was deemed too late to edit by then. 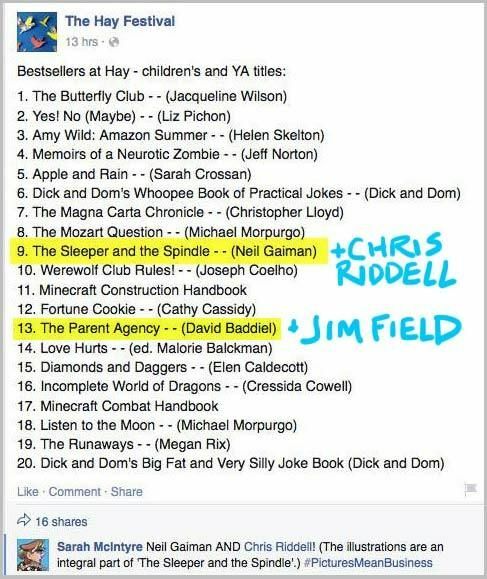 To be fair to the Hay bookshop person, I wouldn't have realised Jim had highly illustrated The Parent Agency either, and I'm a huge fan of Jim's work. He's not listed in the book data provided to Amazon, which suggests his publisher didn't fill out all the necessary boxes in the forms they submitted. I wouldn't have realised the book was illustrated at all, and that's because his name's not written on the front cover. Eek, look, it's there in tiny letters under the bar code, on the back cover... there, under the pigeons. That's not right. Jim says he spent at least two weeks working on that cover alone, and he should be listed at least somewhere on the front cover. 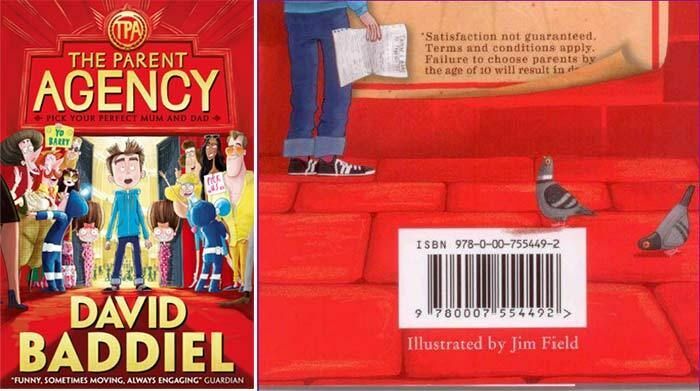 I know the HarperCollins marketing people see writer and comedian David Baddiel as the big attraction, but it's actually misleading; you wouldn't be able to know this book was illustrated if you just saw the cover. And the front cover is what most people see if they buy the book online, or pick it up in a shop. David was quick to point out on Twitter that he always credits Jim, but the Sales & Marketing people should have been more honest with the wording they put on the cover. 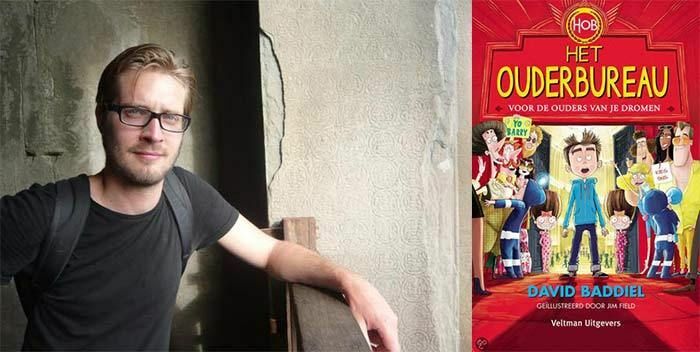 As Jim's pointed out, this lack of cover credits is a HUGE problem in illustrated fiction, and just because an illustrator doesn't raise a big stink, it doesn't mean they're not completely gutted by the decision to omit their name. The Dutch publisher was clued in enough to include Jim. His name's not as large as David's, but at least it's there. * In the case of a television celebrity writer, you're saying that television people are much more important than book people. Is this something you really want to say, if you're going to try to sell more books? Aren't you shooting yourself in the foot by doing this? 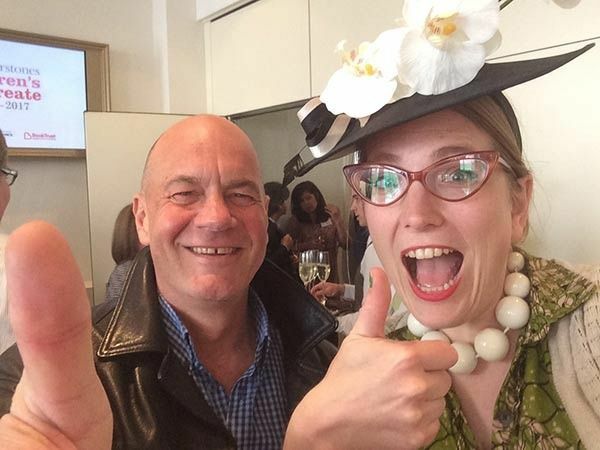 Illustrators don't get salaries or pension plans like in-house publishing people. They need all the help they can get to build their brand and keep their career going. If you decide you can't possibly credit them (a lame decision), you should pay much, much, MUCH more money. Why not just credit them? Get with it, people. So what's happening? I'm going to a meeting next week between The Bookseller, Nielsen, the Society of Authors and the Society of Children's Book Writers & Illustrators to discuss this problem. I originally thought Nielsen was the culprit, but it's looking more and more as though Nielsen are just dealing with the data they're given, and publishers are submitting faulty, irregular and incomplete data. Keep an eye on The Bookseller and Charlotte Eyre's articles for updates. But we need you to keep up the pressure on publishers to submit complete metadata, ask questions when illustrated cover art is revealed with no illustrator mention, reviewers leave out illustrators, and illustrators are left off front covers of highly illustrated books. And I hope Chris will keep pushing for awareness about crediting illustrators; we're all in this together and as an illustrator, he knows exactly what it's like to be left out of listings where he should rightfully have his name. 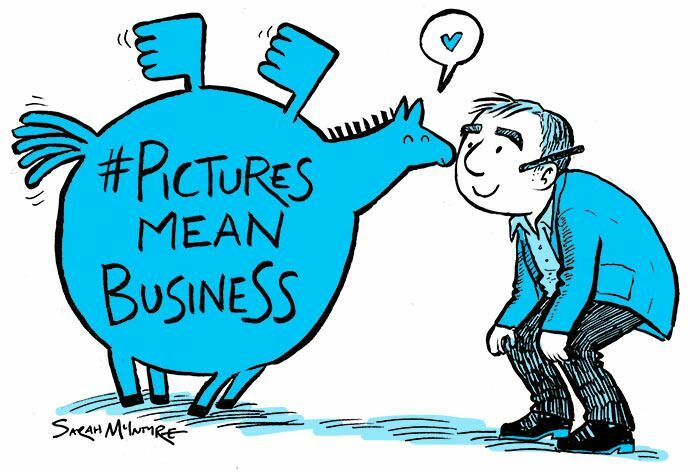 Visit picturesmeanbusiness.com if you want to catch up on what the campaign's about, and browse the #PicturesMeanBusiness hash tag on Twitter. 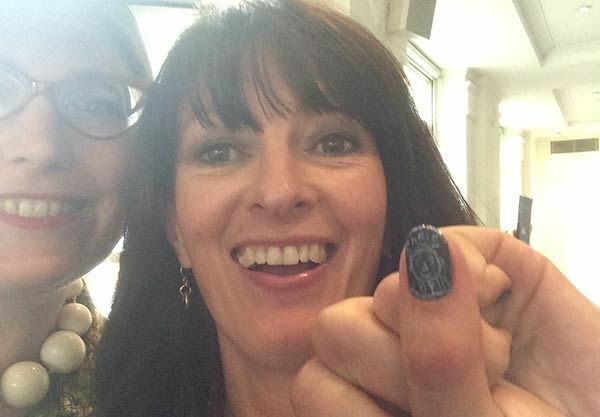 Here's another photo from the Children's Laureate ceremony: fab writer-illustrator Liz Pichon with her predictive fingernail. 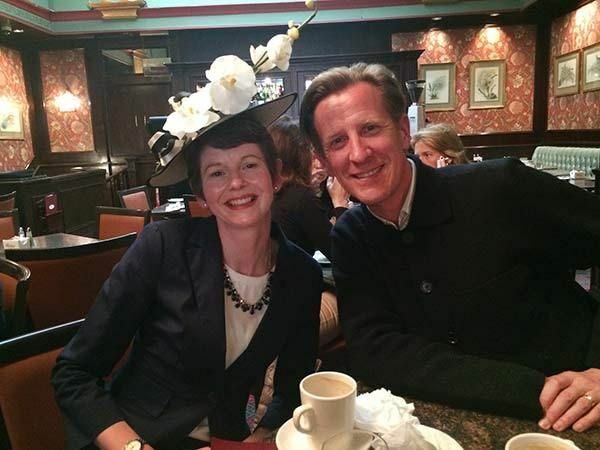 Our Oliver and the Seawigs and Cakes in Space OUP publicist Harriet Bayly took my co-author Philip Reeve and me out for lunch after the ceremony. Funnily enough, that 2010 Carnegie Greeaway ceremony was the first time I ever met Philip, although we only exchanged a few words when I snapped his photo. 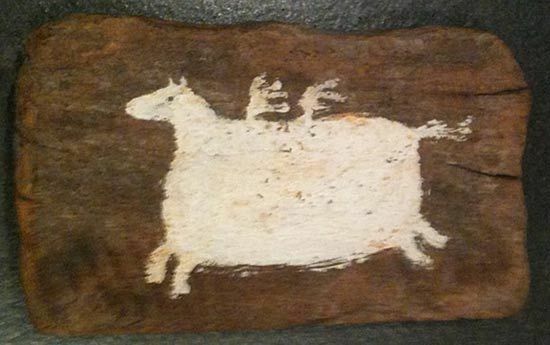 And together we turned it into an illustrated online story called The Dartmoor Pegasus, which you can read in full here. I also did a lengthy blog post about visiting Chris's studio, way back in 2011, which you can see here. 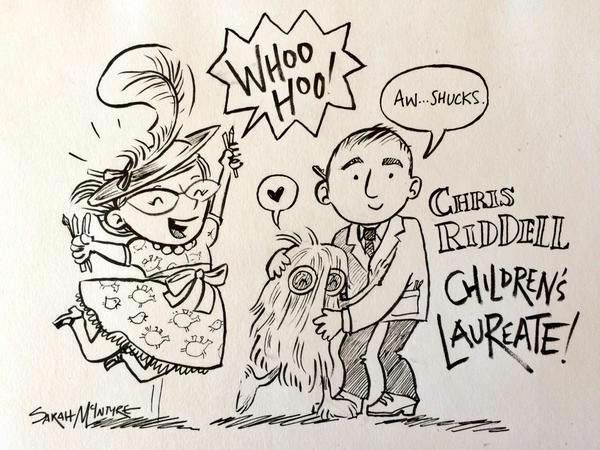 Congratulations on your new role as Children's Laureate, Chris! 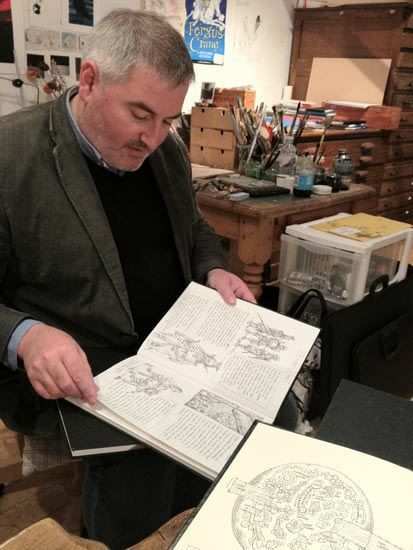 You can follow Chris on Twitter (@chrisriddell50) and Instagram.